Well, we made it… in a few hours 2018 will be just a memory and another chapter closed. By far and away, I had one of my best years ever in my marketing & coaching business and one of my best years ever personally. I am so lucky to have seen so many of my goals met and in most cases exceeded. From the success of It Factor LIVE VIII, doubling the event in size, so many new clients, new projects & programs and my own personal fitness transformation. Im feeling very grateful and happy. 2019 is a blank canvas on which you can paint your life’s masterpiece. That’s always inspiring to me and very empowering. To help you set yourself up for 2019 success, I have a treat for ya! One of my favorite ways to kick start a new year is by selecting a theme for the year, a written vision for your life and goals are the fundamental tools, the paint, and brushes; you need to create your work of art. And this Friday January 4th at 1:00PM ET – I’ll be hosting ur first Facebook Friday LIVE BRADcast of the year! 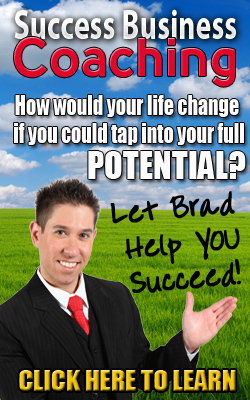 On this ‘BRADcast” I will share with you my simple and effective way to “theme” your year. Even if you’ve already set your goals and are pumped up ready to start, I know you will discover some valuable distinctions during our time together that will help you refine and strengthen your plan. So plan to join me on Friday (in the Business of Shows Facebook Group) for this 100% FREE Masterclass. There will be times of struggle, sadness, and frustration. There will be times of happiness, success, pride and pure magic. There will be celebrations, victories, and new relationships formed. You can’t control everything that will happen to you this coming year, but you can control how you respond to what happens. Look forward to all that is to come and don’t forget to set aside an hour this coming Friday January 4th at 1:00PM ET to kick start your year with my “theme your year” technique. Wishing you a Happy, Healthy, Prosperous & Successful 2019!